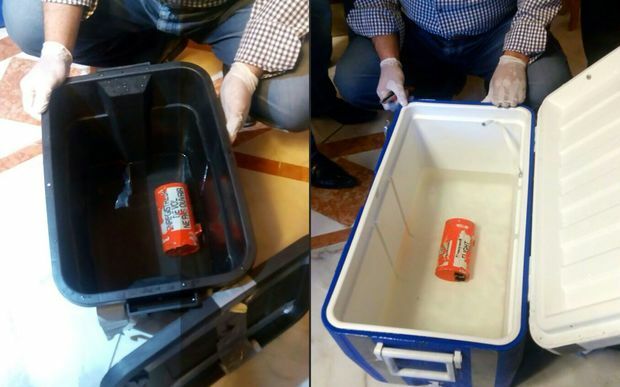 Egyptian air accident investigators have confirmed audio from the flight recorder of crashed EgyptAir flight MS804 mentions a fire on board the plane in its final moments. The Airbus A320 plunged into the eastern Mediterranean en route from Paris to Cairo in May. All 66 people on board were killed. The cause of the crash remains unknown. The flight recorders were last month recovered from the plane’s wreckage, about 290km north of the Egyptian coast and at a depth of about 3000m. Automated electronic messages sent by the plane revealed that smoke detectors went off in a toilet and in the avionics area below the cockpit, minutes before the plane’s signal was lost. Radar data shows the plane turned 90 degrees left and then 360 degrees to the right, dropping from 11,300m to 4600m and then 3000m before it disappeared. The investigation committee said initial audio extracted from the flight deck voice recorder indicated there was an attempt to put out a fire before the plane crashed.